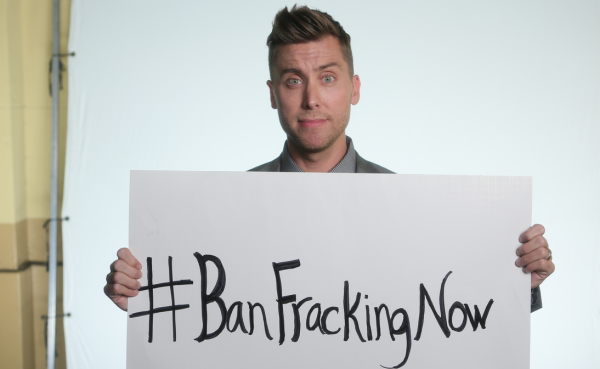 Celebrities such as Hayden Panetierre, Marisa Tomei, Lance Bass, Wendie Malick, Camryn Manheim, and Daryl Hannah, have banded together to make anti-fracking “What the Frack?” videos, asking people to call their elected officials to have fracking banned. These videos claim that fracking pollutes our water supply, makes people sick, and makes climate change worse. The main problem with these videos is that they’re full of misinformation. The Western Energy Alliance (WEA) released a video of their own dispelling many of these myths. In an accompanying blog post, they also take the video to task, proving that these claims are false. Don’t believe them? The WEA also quotes experts such as Energy Secretary Ernest Moniz, who said “I still have not seen any evidence of fracking per se contaminating groundwater.” It doesn’t get any clearer than that. Point by point, the celebrity activists are proven wrong. The truth is fracking is safe, effective, and good for our economy. Jon Haubert of Coloradans for Responsible Energy Development (CRED), a group dedicated to education on fracking, spoke with Freedomworks. "Even though we’ve been safely fracking since 1947 and more than 90 percent of today’s oil and natural gas wells are fracked at some point during their lifespan,” he said, most “admit to not knowing or understanding what it involves. And the problem is worsened when uninformed Hollywood actors jet in and out of town with a script in hand focused more on drama, than reality." Haubert when on to explain the economic impact of a fracking ban. Our economy is not in a position to turn down this kind of revenue, or turn away jobs, and the data just isn’t there to back up the environmental claims of these uninformed Hollywood activists. With millions of Americans feeling the pinch in their wallets, hopefully they'll pay attention to the facts and not these fracktivists. I’m all for having informed discussions and disagreements but, sadly, uninformed celebrities seem to have gotten the nation’s attention for now. How much is the Fracking industry paying you to write this stuff? Or are you a share holder of the Fracking giants? Is it one or the other or both? You simply do not win with this one! Fracking is safe and effective in 95% of the cases no doubt. The other 5% are by the industries own admission a disaster. Worse yet they admit that 5% additional cost and care would stop that. In the mean time you need to know that Arkansas shut in fracking in a gas field after 100,000 earthquakes were caused in one year. They didn't think is was harmless. The US-Army Corps of Engineers expects land subsidence due to fracking may cause the failure of several large dams in the near future. This isn't innocent stuff. The realistic issue here is that the Oil and Gas industry needs liability for the damage they do cause and they need to pay royalties to large areas affected and the old system of separation of mineral rights needs fixed to make sure that the surface right holders are not trumped in court by the "pads" and things like this. If you quit ideology and get with facts you might win on this one. Beneath the surface of a Cap and Tax debate that has only just begun to rage in this country, a basic premise is largely being taken for granted. Prominent fixtures of the political class, from Al Gore to Newt Gingrich to John McCain, have accepted and declared as fact that the Earth is getting warmer, the icecaps are getting smaller, carbon is to blame, and only government can save the day.